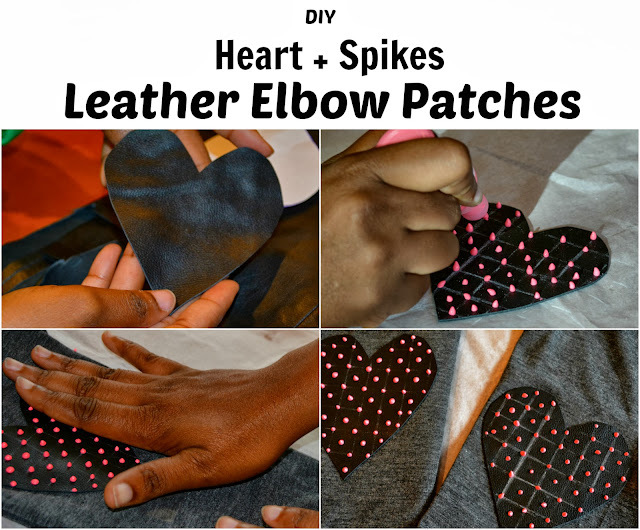 Thanks to Collective Bias and Sears for this sponsored post that allows me to DIY elbow patches to my recent fashion find and allowing me to achieve the look for less! I'm a big fan of elbow patches and glad to see them pop up in fall fashion 2013 trends. They're not just for tweed jackets and thick, wooly knits anymore. The latest crop can be seen on shirts and thin knits in a variety of colors and shapes. Some have sequins, some have glitter, and some even have spikes! While at Sears shopping for bedding for Ms. Violet's new "big girl" bed, I moseyed on over to the women's section for a quick look around. I found a great drapey surplus top that's perfect for everyday and anywhere. Since I was holding a coupon and and I had Shop Your Way reward points, I snagged the top too! I love how versatile it is. It can be layered with tank underneath and sweater on top. I can wear it on the playground with jeans and flats and take it out on the town with a skirt and heels. It's a great top on it's own but as you know, I like to add my own personal touch to every outfit. It has visual interest in front with the faux wrap. Now it has neon pink spikes when you see it from the back! Feel free to skip a step if you desire spike free hearts. I achieved the spiked look with 3D paint! This is a super easy project requiring no sewing. Cut out a paper heart to use as a template. 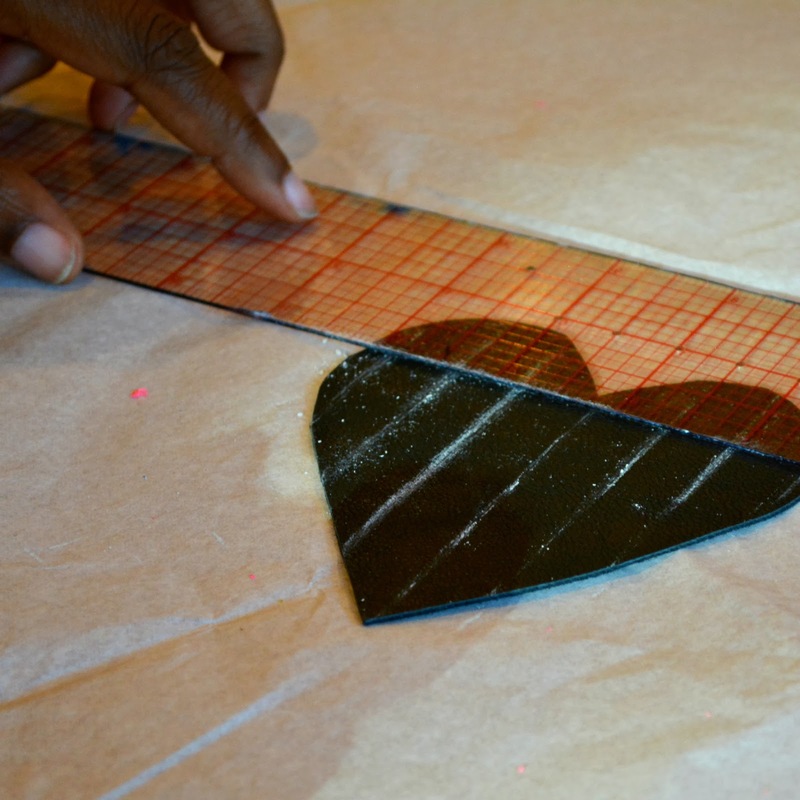 Fold a sheet of paper in half and draw half the heart and cut. You can probably find one online to print pretty easily too. 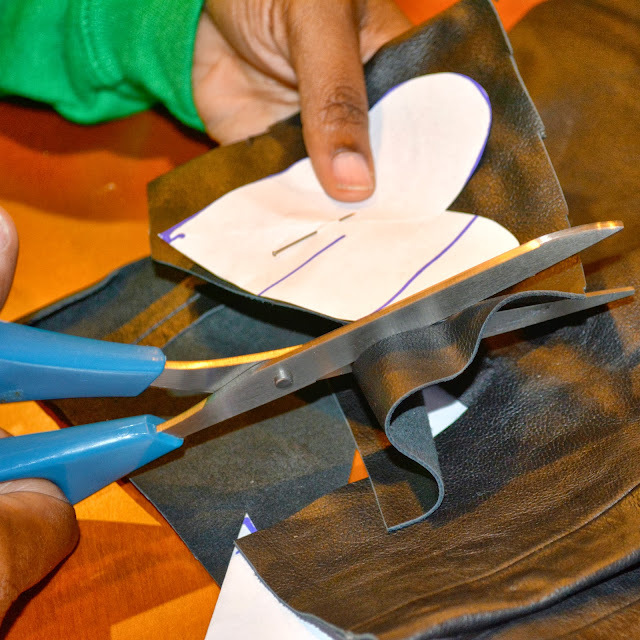 Trace template onto leather and cut. 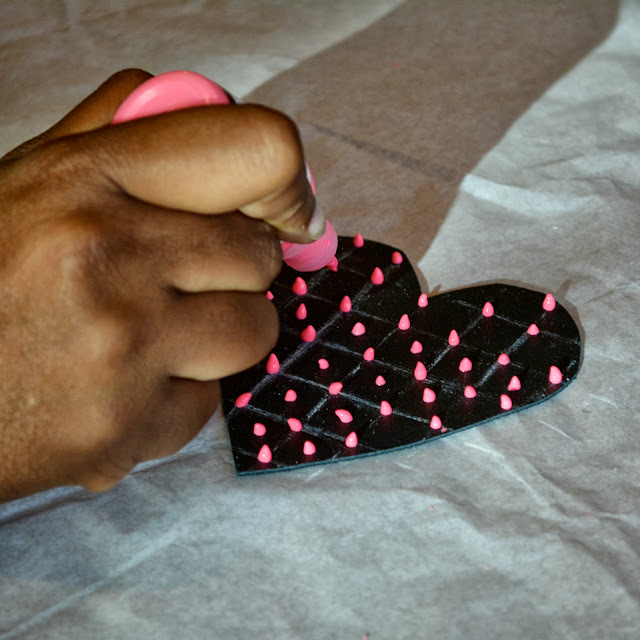 Pin template to leather and cut out 2 heart shapes. Mark lines equal distance apart for uniformity. You can skip this step and freestyle too. Apply spikes. Squeeze out a dot of paint onto each intersection and the center of every square. Allow to dry for 4 -6 hours. Mark sweater on elbows. 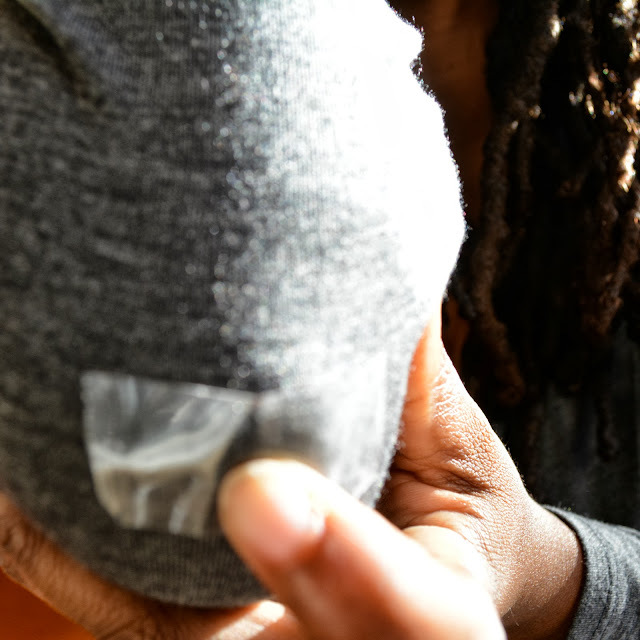 Put on sweater, bend elbows, and mark the point with chalk, tape, etc. 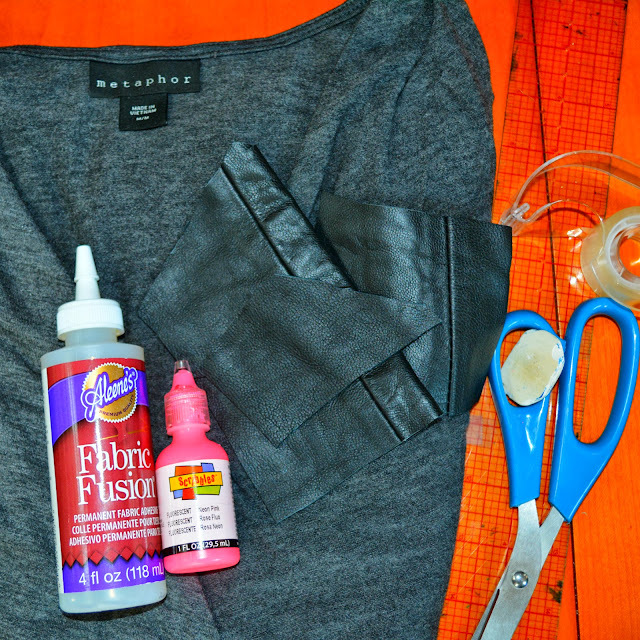 Glue patches to sweater. 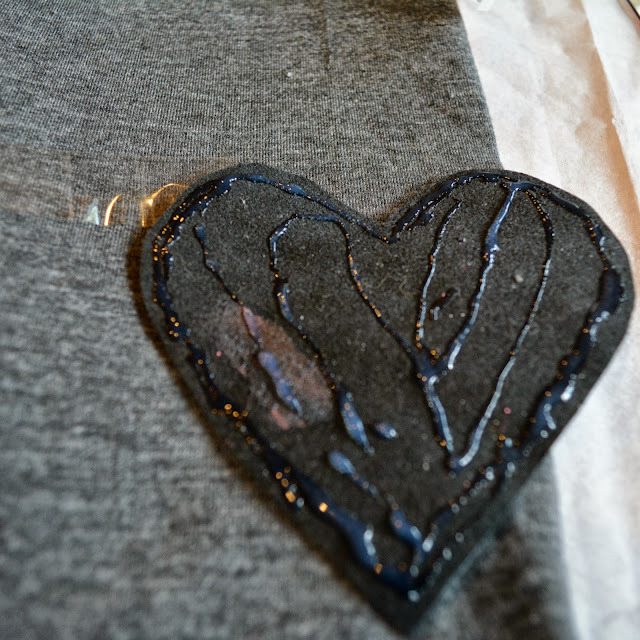 Add fabric glue to back of hearts and center hearts over point. Allow to dry. Remove chalk marks with water and wear! Elbow patches look great with with clean, classic styles. Pair with dark denim and rich colors and textures. Go with the menswear inspiration and wear with plaid and oxfords. Wear elbow patch tops with a skater skirt, tights, and booties for trendy (and warm) style. 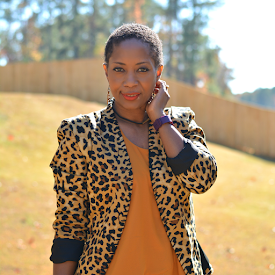 Pair with sequin skirt or pants for a fun and unconventional look. Visit searsSyle on Facebook, Twitter and Instagram for more great style ideas and inspiration. What trends are you diy'ing? How are you wearing it? Awesome! I love it. 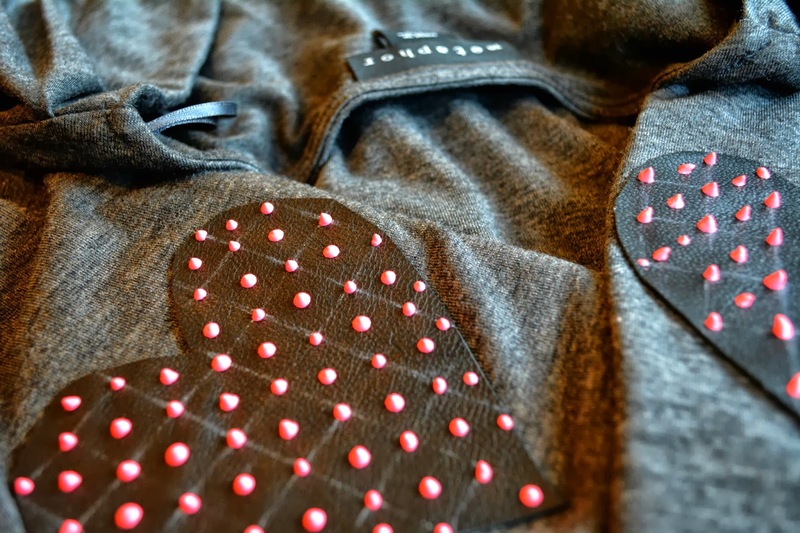 I especially love that your studs are PINK! Really cute and so creative! This is too cute! Doing this over the holiday weekend on 2 sweaters. Thanks! You are so adorable! I love this! Love it! These drape tops are so trendy right now. I have just to find one in the stores. Think I might have to resort to ordering one from the internet.